This beauty is a designer wool woven I snapped up from one of the best little designer fabric boutiques tucked away in the Adelaide suburbs. 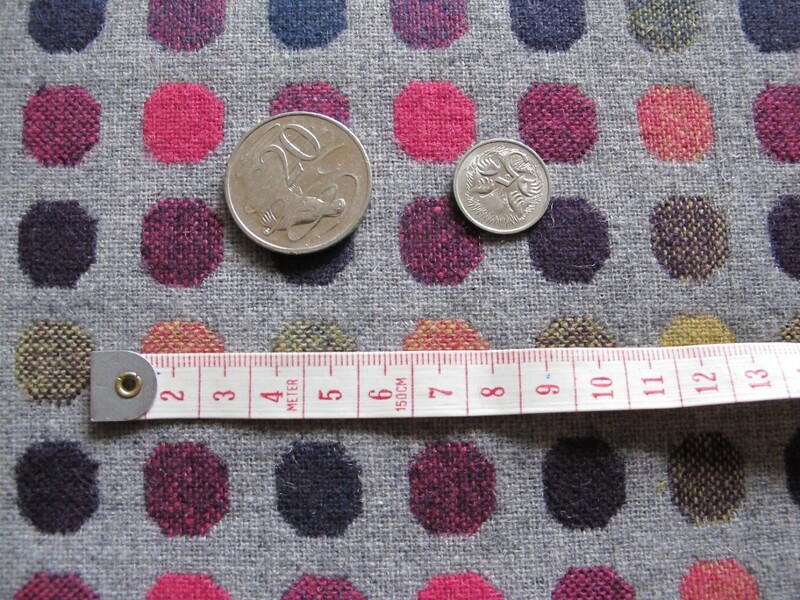 It is a medium suiting weight to coating weight woollen. It feels like a 100% wool blend. If it is not, it is very close to it. The fabric is full of whimsy I think. 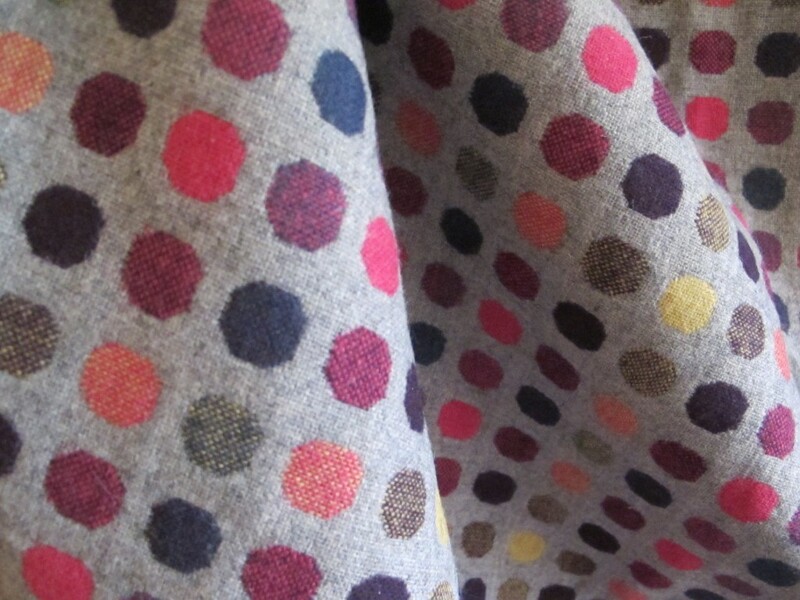 Against this conservative grey background these smarties of colour are arranged in rows and lines…pink, navy, umber, yellow, crimson, interspersed with some classic fine tweed effect dots. It is very clever I think. 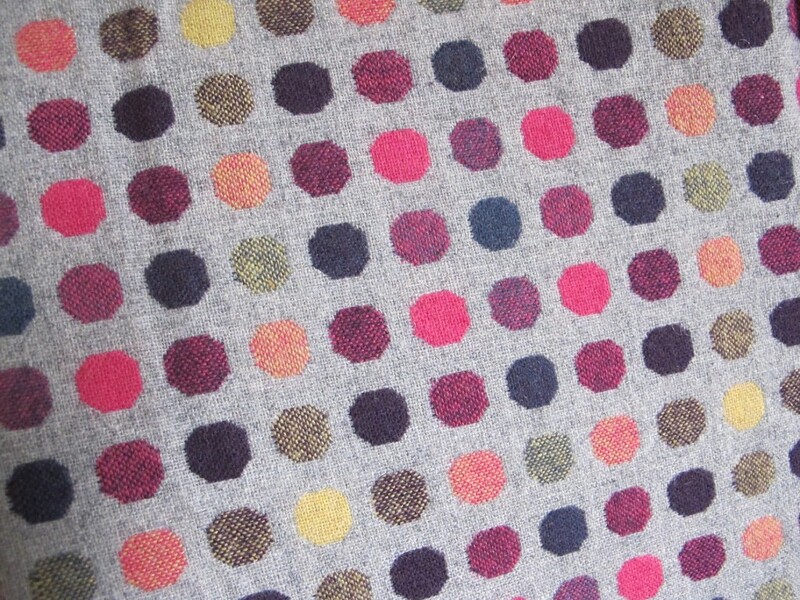 The grey background and the tweed dots, and the navy ones too, temper the overall colour scheme. Here you can see the woven effect of the fabric, front and back. Experienced weavers will know better, but I think this is quite a complicated weave and the loom would need to be set up intarsia fashion to be able to work through non-repeating colours on every row of dots. This is why true designer fabrics are worthy of the name. 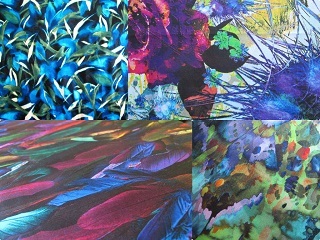 This fabric is 150cm wide. 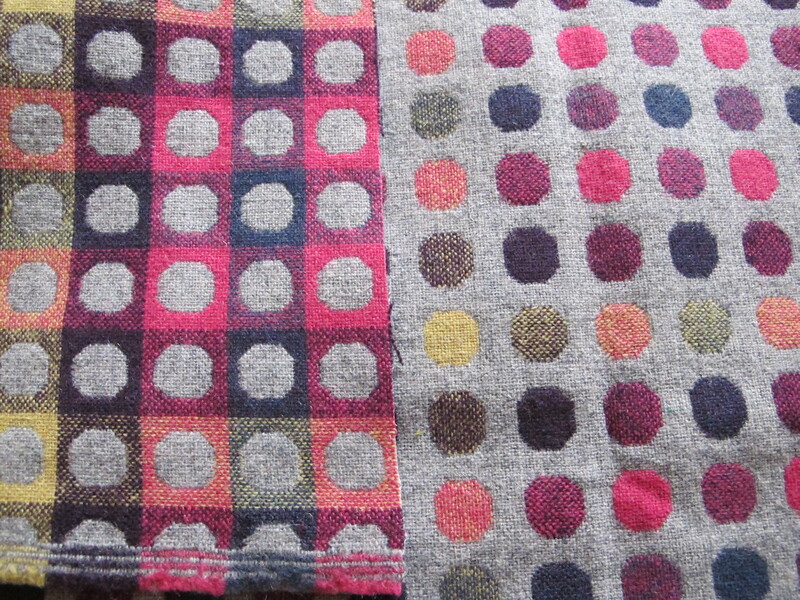 I have two lengths of this fabric. One piece is 2 metres and the other piece is 1 metre. 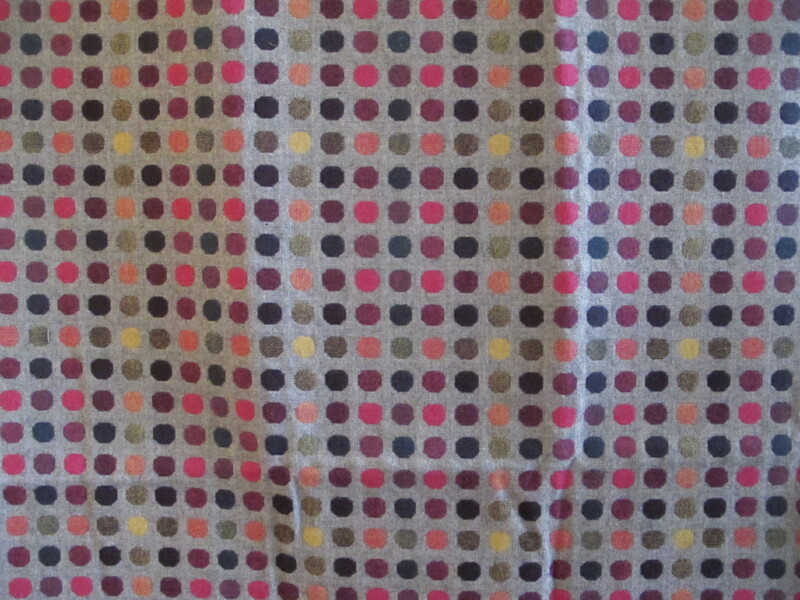 It was dearer than this (I am discounting everything) but I am offering this one for $40 a metre. I think I can squeeze the 1-metre length in a small satchel at $8.25; the 2-metre length will need a medium satchel at $13.25.